Hello Kitty Big Pink Bow Summer 2012 Collection. 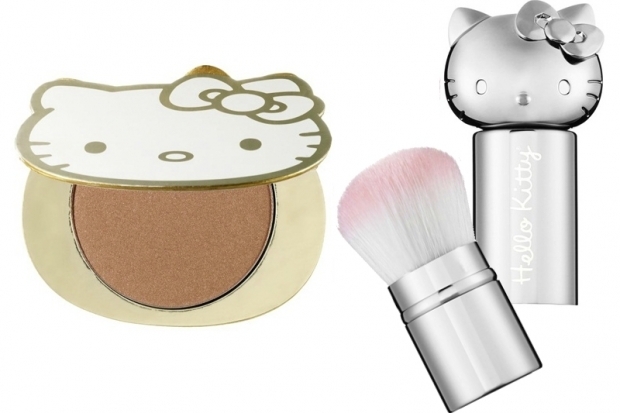 The Hello Kitty fever strikes once again, this time with an exciting beauty collection titled Hello Kitty Big Pink Bow. Check out the fabulous kitty themed products included in the collection. Good news for die hard Hello Kitty fans who have yet another reason to rejoice this summer. The Hello Kitty Big Pink Bow collection is here to enchant us with delightful scents and helpful products and accessories. The bow is perhaps the most distinctive element of the beloved character, however it was not necessarily well represented in many of the kitty-themed collections. This changes in the latest collection where this element becomes the star. This bow-shaped fragrance has a floral fruity vibe and it's meant to be a sweet, fun and delightful scent, perfect for the season ahead. With a light vanilla base, a rich heart of gardenia, tropical frangipani, pink honeysuckle and tiara flowers which are perfectly complemented by pineapple and creamy coconut water notes. 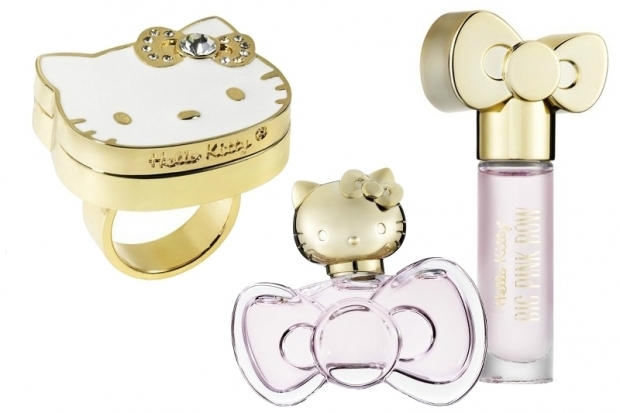 The fragrance is also available in Hello Kitty Big Pink Bow Rollergirl version for $19. Fashionistas who love multi-taskers will most likely fall in love with this KOTO Parfums product. The solid perfume is cleverly packaged in a golden ring. The white enamel and crystal Hello Kitty Kawaii kitten motif infuses extra cuteness in this fab accessory. Getting a flattering, polished summer look involves selecting the perfect bronzer. The collection features a luxurious looking bronzer with the golden accent which aims to provide an alluring pearlescent glow to suit the majority of skin tones. With strawberry, grape seed, and apple extracts which are aimed to protect your skin, the bronzer provides a matte finish for a subtle emphasis of your features. 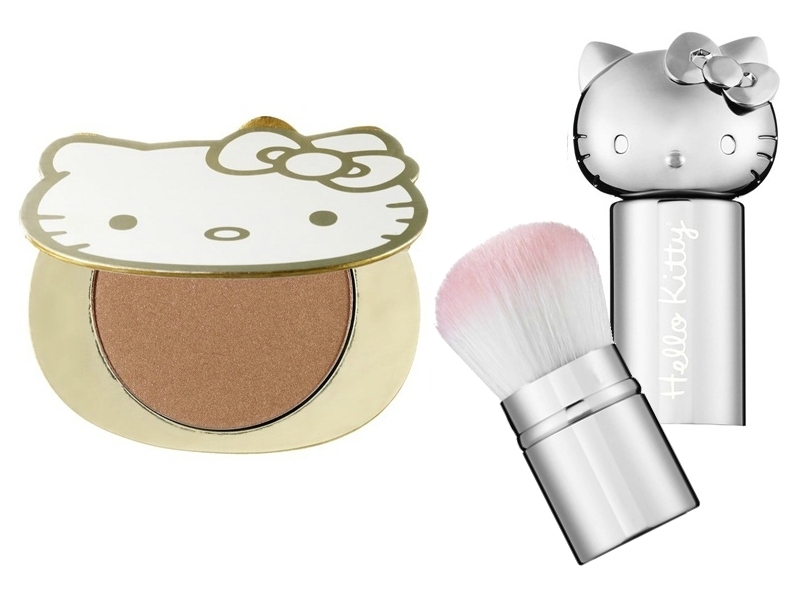 For easy application, the Hello Kitty Retractable Kabuki Brush ($28) is the perfect choice. The items from the collection can be purchased from Sephora.